Incorporating as an LLC is a popular choice among business owners. Learn more about forming a limited liability company today. We reserve your company's name and take care of your LLC filing. By definition, an LLC keeps your liability as a business owner limited so that your personal assets are protected. Let us help you through the process from start to finish. We'll check your LLC name, file your paperwork, and follow up with your state. All you need to do is tell us a little bit about your business. Our specialists have incorporated thousands of businesses just like yours. They can walk you through the entire LLC process by phone and answer any questions you have. Whether you need to connect with a lawyer, create an LLC Operating Agreement, collaborate with your co-members, or need help staying compliant, we're here to help your business grow. If you're not completely satisfied with your LLC incorporation, we'll give you a full refund. What Does Forming an LLC Mean for My Business? Simply put: Limited liability companies have less corporate governance requirements than other entity types. You'll spend less of your energy filling out compliance documents and more of your time running your company. By incorporating as a limited liability company, you separate your business assets from your personal ones. That means your company holds the liability if something goes wrong and your personal assets are protected from lawsuits. No other entity gives you the ownership and management flexibility of a limited liability company. You'll be able to set up your unique company the way you want to with just a simple LLC Operating Agreement. LLC vs. Corporation: What's the Difference? Compare the advantages and disadvantages of each business entity type to find the one that's best for your company. LLC members are not personally responsible for the company's debt or liability. S-Corp shareholders are not personally responsible for the company's debt or liability. C-Corp shareholders are not personally responsible for the company's debt or liability. Non-Profit directors are not personally responsible for organizational debt or liability. Sole Proprietors are personally responsible for debt and liability. With the proper planning, limited liability companies can exist for generations. S-Corps continue to exist even if the owners or majority shareholders leave or pass away. C-Corps continue to exist even if the owners or majority shareholders leave or pass away. Non-Profit organizations and institutions survive after their directors leave. Sole Proprietorships do not exist when the owner quits or passes away. Limited liability companies can raise money via banks and investors but cannot sell stocks. S-Corps can get loans from banks, as well as distribute stock to up to 100 people. C-Corps have the easiest time raising capital as there is no cap on how many people can own stock. Non-Profits can both get loans and receive tax-deductible donations. Sole Proprietorships can occasionally receive bank loans but cannot sell stocks. Limited liability companies allow for a large variety of management structures based on your specific needs. Management structures for S-Corps are largely dictated by state and federal law. Management schemas for C-Corps are largely dictated by state and federal law. NPOs need to follow strict management laws to guard their non-profit status. Since Sole Proprietorships have only one member, there is no management structure. Since limited liability companies can be a pass-through entity, owners are taxed on their personal income. S-Corp shareholders are taxed personally. The S-Corp, however, is not. C-Corp income is taxed at the corporate level first, then again at the personal level. This is called "double taxation." Non-Profits are only taxed once and can write off most of their expenses. Sole Proprietors are taxed only on their personal tax return. Limited liability companies can claim deductions but not tax-exempt status. S-Corps can claim deductions but not tax-exempt status. C-Corporations are not tax-exempt entities Not only are donations to Non-Profits tax-exempt, but NPOs can themselves apply for tax-exempt status. Sole Proprietorships are the least official business entity and cannot claim tax exemption. Limited liability companies must pay state fees during the incorporation process. These fees can be deducted from taxes. S-Corps must pay state fees to legally incorporate. These fees can be deducted from taxes. C-Corps must pay state fees to become legally recognized. These fees can be deducted from taxes. Non-Profits pay state fees when they incorporate. These fees can be deducted from taxes. Since Sole Proprietorships aren't incorporated entities, they don't pay formation or compliance fees. While limited liability companies have less compliance requirements than other entity types, there are reports and licenses that need to be filed and maintained. S-Corps usually will need to file reports and pay compliance fees on an annual or semi-annual basis. C-Corps generally must file reports with their state, as well as a host of other regulatory and compliance fees. Non-Profits have more compliance responsibilities than other entities as they must continually preserve their tax-exempt status. Sole Proprietors do not have ongoing compliance fees. Talk to an LLC specialist. Your LLC will give you the freedom to choose how your company runs and avoid being subject to the strict compliance laws that other business entities have to deal with. 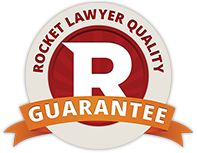 When you form a limited liability company with Rocket Lawyer, your membership includes help from seasoned attorneys and all the documents you need to start your business right and grow it.